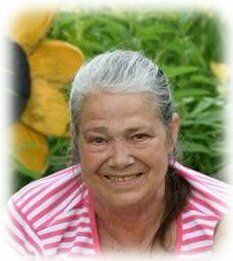 A Gathering of Family and Friends for Stella Lorie Flink, age 65, of Albert Lea, will be held from 5:00-7:00 p.m. on Friday, April 5, 2019 at Bayview/Freeborn Funeral Home. Online condolences are welcome at www.bayviewfuneral.com. Lorie was called to eternal rest Saturday, March 30, 2019 at Good Samaritan Society in Albert Lea. Stella Lorie Flink was born on January 18, 1954 in Miami Beach, Florida, the daughter of Charles “Eddie” and Susie Sherman. She grew up and attended school in Newport, North Carolina. She enjoyed cooking, painting, and gardening. Lorie dearly loved North Carolina seafood and barbeque. Lorie is survived by her children, John (Sara) Flink, Jacob (Jessica) Flink, Jeremy (Michelle) Flink, Jessica (Jamie Whelan) Flink, Joseph (Kellsi) Flink, and Jaclyn (Michael) Robertson; 15 grandchildren; 1 great-grandchild; sister, Sherrie (George) Choporis; mother, Susie Sherman; and husband of many years, John Flink. Lorie was preceded in death by her father, Eddie; and brother, Charles “Duke” Sherman, Jr.